Wright produces medical devices, including the Conserve, Dynasty and Lineage line of hip implant products. 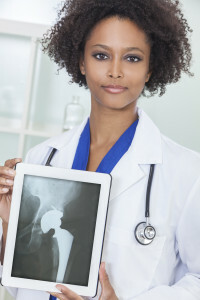 There have been an unusual number of problems with these hip implants, resulting in pain, premature implant failure, metallosis, tissue necrosis and revision surgery. As a result, thousands of lawsuits have been filed. Many of these lawsuits have been consolidated into one multi-district litigation, or MDL. MDL is not the same as a class action lawsuit, but without getting into the details, the purpose of the MDL is similar to a class action lawsuit in that it exists to resolve as many similar lawsuits as efficiently as possible. Still, in the MDL each case stands alone. As a part of a MDL, a handful of cases will actually go to trial until a verdict is reached. One such bellwether case was Robyn Christiansen’s lawsuit against Wright, where she was awarded $11 million by a jury (although this was reduced to about $2 million and is still being appealed). However, there are thousands of cases that involve one of Wright’s defective hip replacement products. The recent settlement is intended to resolve approximately 1,300 of them. On November 1, 2016, Wright entered into a settlement agreement totaling $240 million and affecting 1,292 specific lawsuits. In order to be included in this settlement, a plaintiff must have received revision surgery within eight years of getting the original Wright implant and the plaintiff’s lawsuit must not have a likely statute of limitation issue. Another requirement for the $240 million settlement agreement to be implemented is that 95% of plaintiffs must agree to accept it. There are still several hundred lawsuits involving a Wright implant that are not subject to this settlement and these will continue to be litigated. Should I Take Part in the Settlement? Maybe, maybe not. Assuming you are a plaintiff in a Wright hip replacement lawsuit and are eligible to take part in the settlement, the answer to this question will depend on the specific facts of your case. Most plaintiffs will receive around $120,000 or $170,000 under the terms of the settlement agreement. This may not seem like much, especially due to the severe injury you’ve probably experienced. Additionally, in light of the results of Robyn Christiansen’s bellwether lawsuit, getting less than 10% of what Christiansen has been awarded seems unfair. However, one thing to keep in mind is that Wright is not the most financially sound company. In fact, Wright doesn’t immediately have the cash to fund the entire settlement. Wright will have to raise capital and receive money from some of its insurance companies. 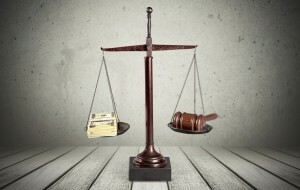 It might be unfair to accept a lot less than you feel you deserve, but you have to consider the possibility of getting less or nothing at all, should you lose your lawsuit against Wright or Wright’s financial position continues to worsen. A company’s bankruptcy, for example, can extinguish your case, no matter how strong it is. Wright has not threatened bankruptcy, but it often lurks in the shadows when major companies are faced with large payouts after a major blunder, such as introducing a flawed artificial hip into the marketplace. Assuming you are eligible to take part in this settlement, you probably already have an attorney who will give you advice on what to do. So ask her. And don’t forget, even if you agree to the settlement, if not enough plaintiffs agree along with you, the settlement agreement will be cancelled.